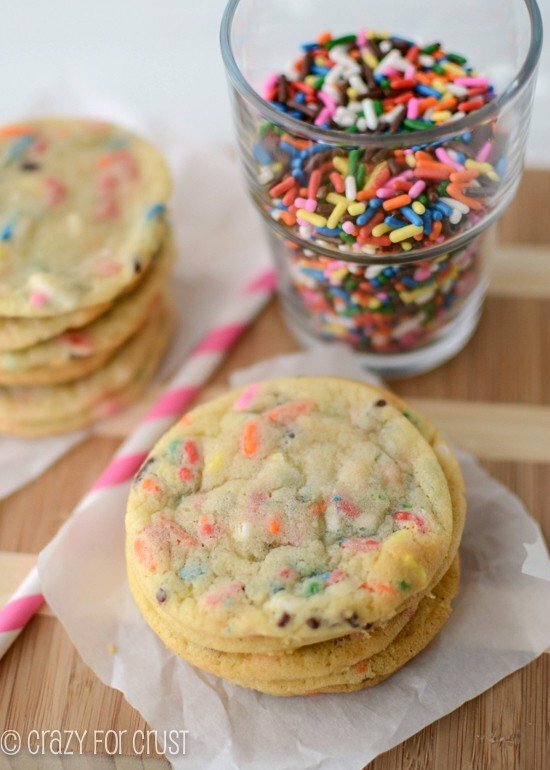 These Thin Sugar Cookies are full of sugar cookie flavor – and sprinkles! These are like homemade refrigerator cookies – and better because YOU made them. 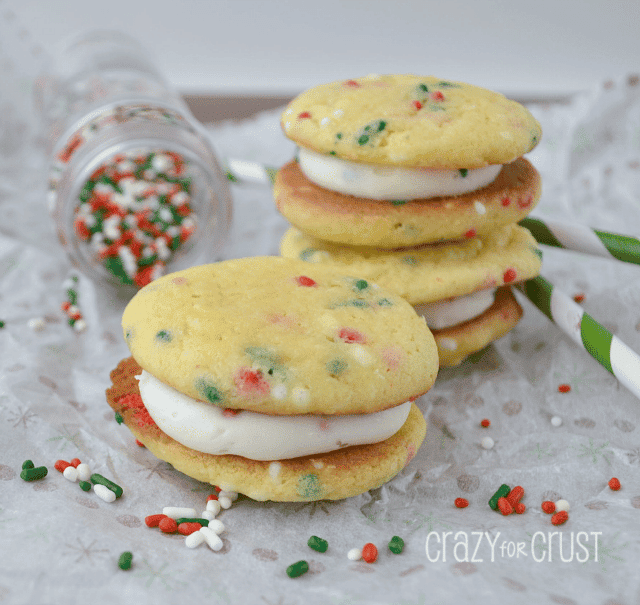 They are perfect with ice cream…or just because you want sugar cookies! If you follow me on Instagram you’ll know that my daughter has her own sense of style. It’s unique to her and although she often talks about how some of her friends “always look perfect“, her style never changes from it’s crazy ways. Pants with skirts, patterns with stripes, sparkles on sparkles – I never quite know what to expect when she comes downstairs for school in the morning. Last week, she wore this outfit. I normally don’t interject with her clothing choices (unless it’s white leggings as pants) but when she came downstairs that day, I was torn. Self-expression is one thing…begging to be teased is another. So I mentioned that, while her outfit was cool and very her, that some of the kids at school might say something to her, and that I didn’t want her to feel bad. Her response? I have never felt that way in my entire life, from birth to now. Even today, I change clothes 27 times so that I don’t look fat or colors match properly. In that moment with Jordan and her crazier-than-crazy outfit and her amazing outlook on life, I realized that she is my hero. I want to be more like her. I wish I had the confidence to take more risks and say/do what I feel. Wouldn’t that be so freeing? When I take risks, I take them in the kitchen. To me, a risk is trying to come up with a sugar cookie recipe on the fly – and hoping it turns out. That’s what I did for these sugar cookies. I was in a development sort of mood…so I made it up as I went along. I’ve made my own peanut butter cookies and my own chocolate chip cookies and even my own brownies. I am always nervous when I try new recipes, because if they don’t work out, it’s money down the drain and wasted food. When these first came out of the oven, my heart sank. I like puffy cookies. Chewy, thick ones with lots of oomph. These were thin…so I thought they were a failure. And then I tasted them. 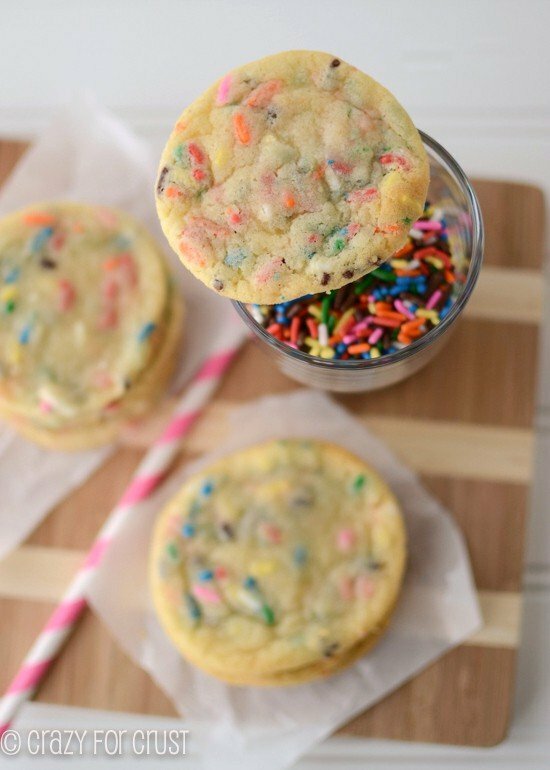 These sugar cookies are super sweet and super delicious. They’re crispy around the edges and soft in the middle, even if they’re thin. I like my cookies soft and almost raw, but if you cook them for a few extra minutes, I bet they’d get crunchy if you like them that way. These cookies actually remind me of the refrigerator cookies you buy at the store – only better because they are homemade! 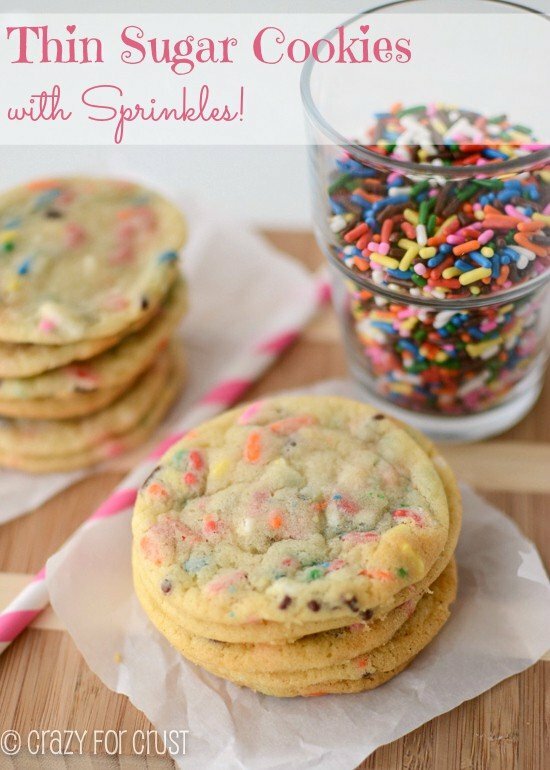 I love sprinkles in sugar cookies. I think they add a perfect amount of crunch and a prettiness to cookies that might look dull otherwise. Plus, if they have sprinkles, they don’t need frosting, which means I can eat them sooner. Sprinkles make me happy. We had company over the day I made these sugar cookies and they went like hotcakes – everyone raved about them. So I guess even though I thought I failed…I didn’t. I guess I should take a lesson from Jordan: try. Be confident. Flaunt what you love. If you love yourself, and the way you look…the rest of the world won’t care. And if they do…it doesn’t matter! But I still want you to like these cookies. I do care about that! You will like them. I promise! Like thin, soft, and chewy cookies? These Thin Sugar Cookies are for you. 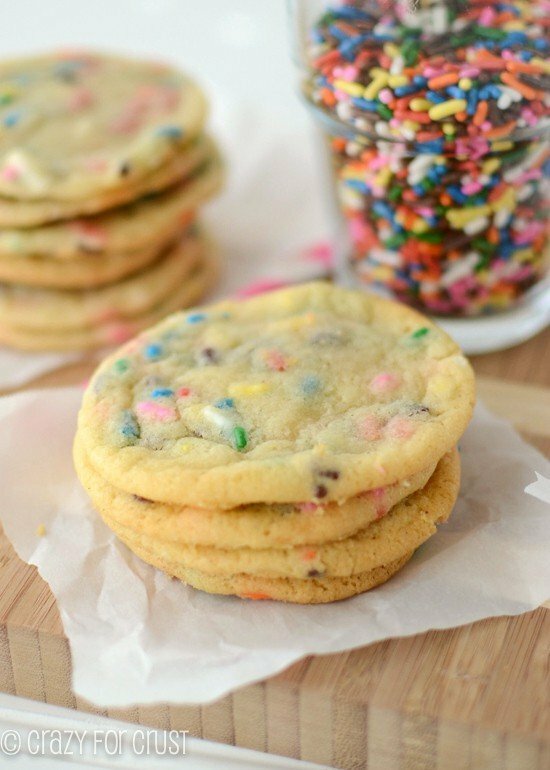 They're like homemade refrigerator cookies...with sprinkles! Preheat oven to 350 degrees. Line cookie sheets with parchment paper or a silpat. Cream butter and sugar in an electric mixer fitted with the paddle attachment. Beat in egg and vanilla. Add baking soda and flour and beat until the dough just comes together. Stir in sprinkles. Chill dough for at least 30 minutes. Scoop uniform sized balls of dough onto your cookie sheets. These cookies spread, so space them at least 2 inches apart. Bake about 8-10 minutes, rotating pans halfway through baking. Remove from oven just before they begin to brown (or, if you like them crunchy, you can cook them an extra minute). Cool 5 minutes before removing from cookie sheet. 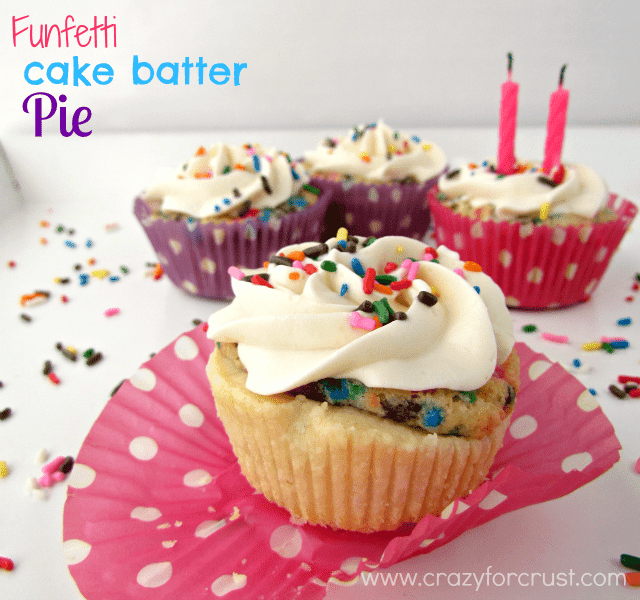 This post may be linked to: Chef in Training, Lil’ Luna, Buns In My Oven, Chic-and-Crafty, I’m Lovin’ it Fridays, Strut your Stuff Saturday, Weekend Potluck, Weekend Wrap Up Party, Sundae Scoop Link Party, and all of these too! I copied your recipe but altered it a lot. I did not add the sprinkles. I added some almonds and almond extract. I made a mistake by adding 1 teaspoon of sugar to my first batch of cookies. They were shaped into balls and would not spread! I then looked back at the recipe and saw I was supposed to add 1 cup of sugar! I did not add that much sugar at all. I added about a tiny bit less than 1/2 a cup of sugar. It was sweet but not overly sweet. I am baffled and astonished that people would add that much sugar. The added sugar to the next batch helped my cookie dough balls spread. I liked my version a lot. I wanted to give credit to you since I did use your recipe as reference. I think I made another mistake. I added only one cup of flour instead of two. I actually don’t remember. ): I hope my first comment does not upset anyone, I didn’t mean it to. I love the taste of this sugar cookie. SO good and I would make it in a heartbeat again. Such a cute cookie too. Hi Dorothy – This is the first blog where almost all of the comments have nothing to do with anyone that has tried the recipe. I made this recipe with a few slight variations that I didn’t expect to affect them, but they didn’t spread at all (I rolled them and then dipped them in sprinkles instead). I did not have a paddle attachment – only electric handheld beaters and used them to cream the butter, sugar, (definitely creamed correctly) and added the vanilla paste (love it too) and eggs. Then I added the sifted flour and baking soda (I usually sift) with the salt (you never say when to add the salt – I used sea salt as my kosher salt is coarse) with a spatula and finished with my hands (it was very dry and crumbly). When I realized they weren’t spreading at 8 minutes, I ended up pushing each round drop with my fingers to try to fix them and cooked another three minutes. While they were tasty, I am very dumbfounded that they did not spread – can you provide some insight or suggestions? Mine didn’t spread either. The dough was very dry and crumbly so I drizzled in vegetable oil until it had enough to come together. Since I made them for ice cream sandwiches I smashed the second tray down with a glass to they would get the shape I wanted. It made 20 big cookies and I need all of them for the kids so I haven’t been able to try one yet, but they look delicious!